The race is on to build hands-on coding skills! Build your maze, and then use the coding cards to create a step-by-step path for Colby, the Programmable Robot Mouse. Program the sequence of steps, and then watch Colby race to find the cheese! 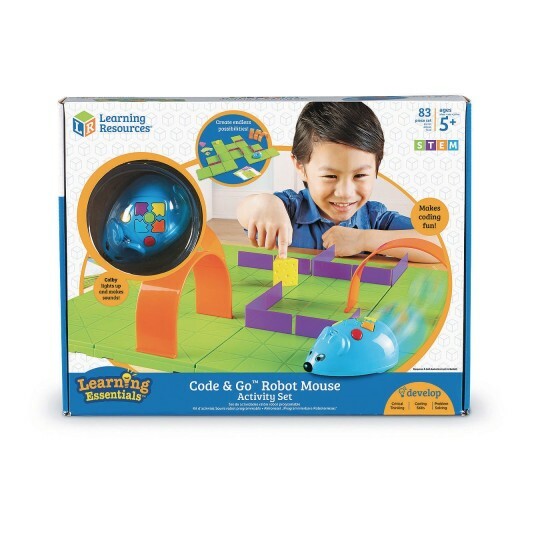 This deluxe set includes 30 double-sided coding cards, 10 double-sided activity cards, a cheese wedge, and an Activity Guide to provide the perfect hands-on introduction to coding concepts. 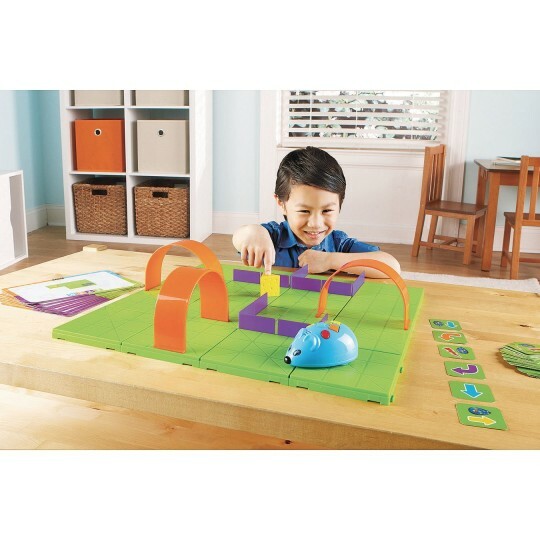 Create your path with 16 maze grids to create a 20” x 20” maze board, 22 maze walls, and 3 tunnels for endless possibilities!